I did some work for a friend and he surprised me with this today. red line and sprints on it. Nice. That has to be a new edition of "collectibles", not a vintage '70s item. It's an '07, not '70. It was not sold in stores. 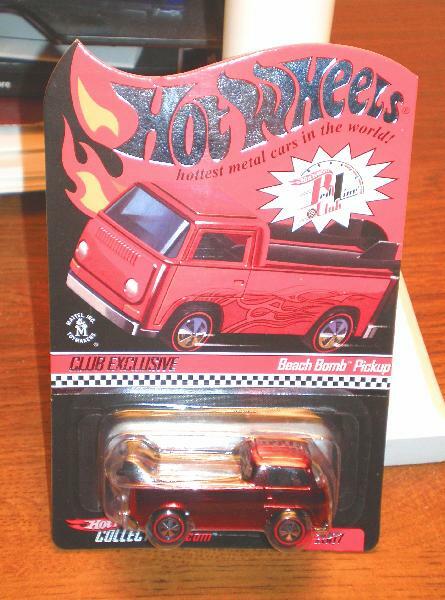 Hot Wheels Collector Club Members only. 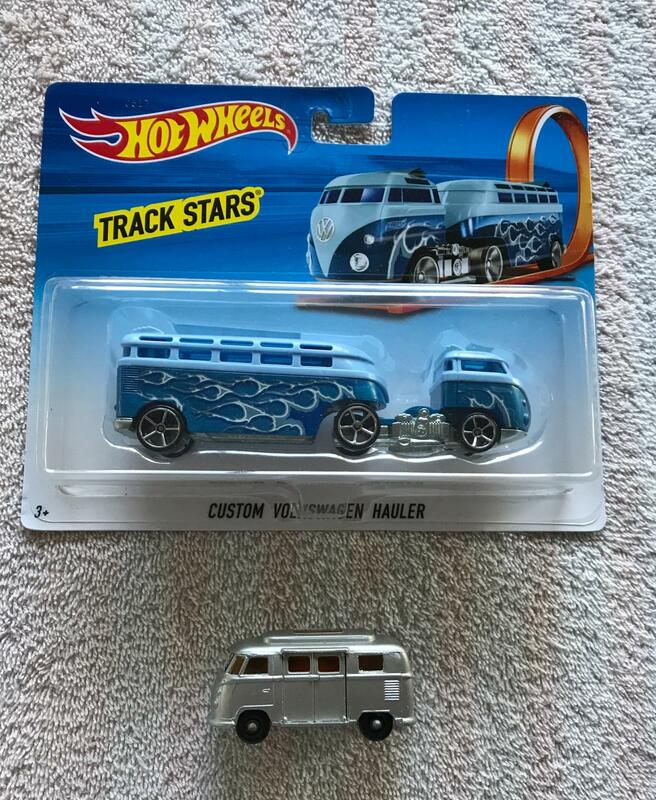 oh great now he is going to be saying that Hot Wheels got the idea from his bus. Completed this set for my collection. The Fiat 500 is DA BOMB!!! Completed another set yesterday. 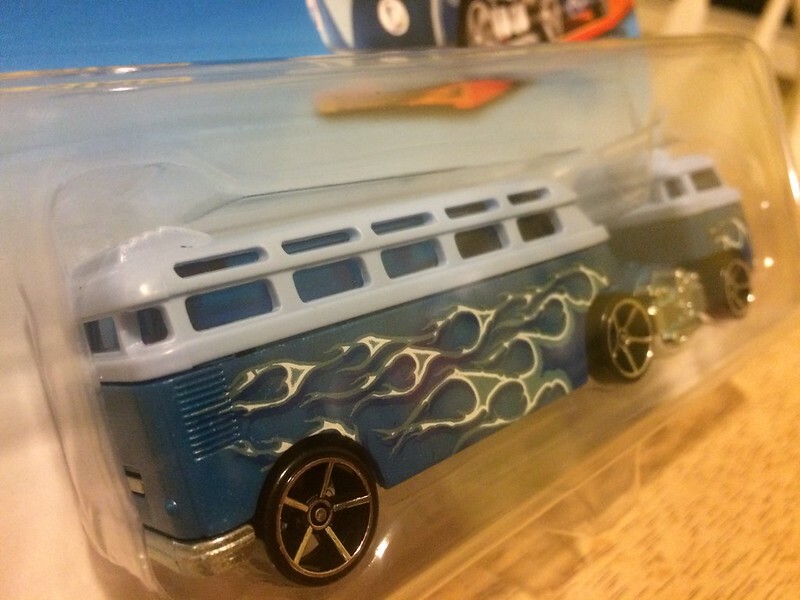 Only one VW, but it a panel bus, Yeah! It is supposed to be the hardest one to find. 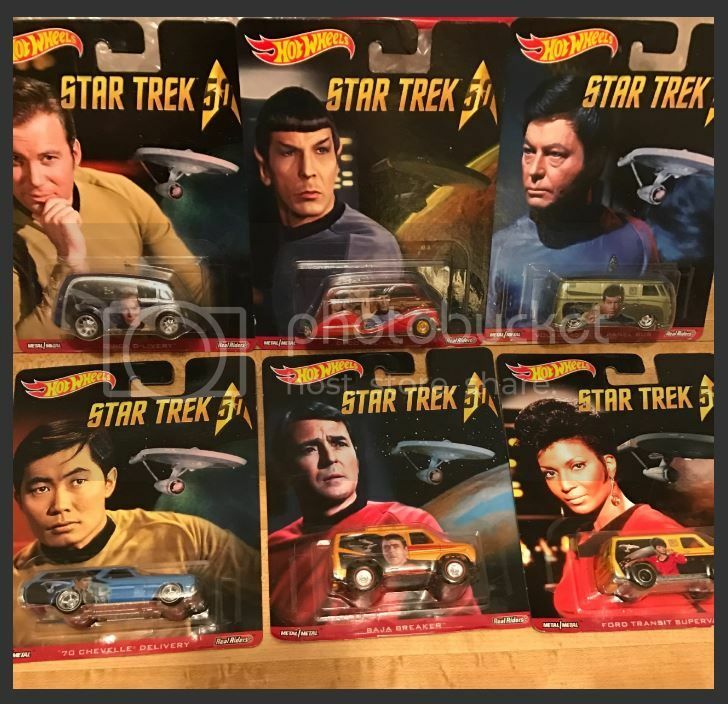 Just found out there is one more to this set and it is the ship its self. 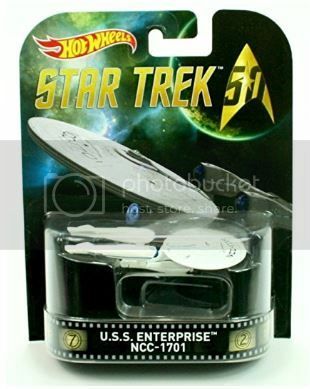 NCC-1701 USS Enterprise. Ahg. Keep looking, looking, looking. I found this double cab this morning. Doka, yea. 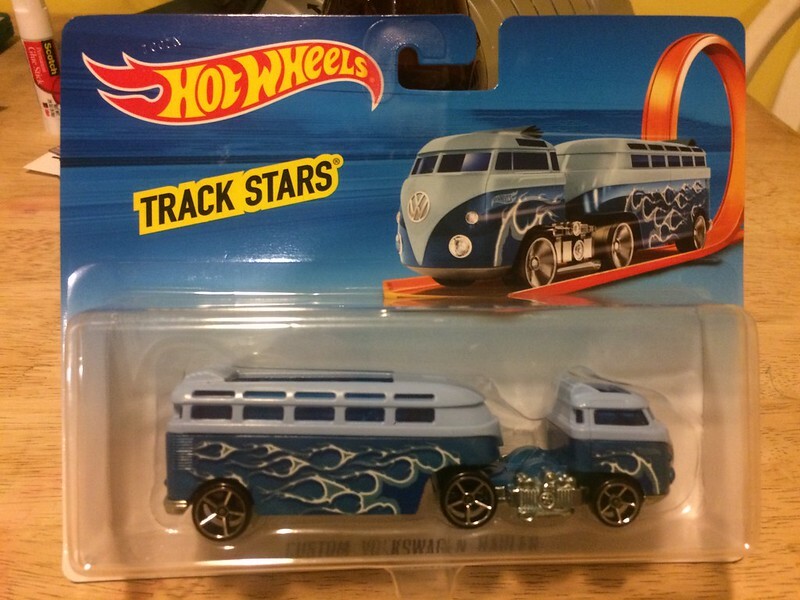 This was the only one they had and they had a crappy 6 car selection too. At the store is where I find them. At a lot of stores. Look in the toy sections at Vons, Ralphs, Target, CVS, Rite Aid, Wallgreens, etc, etc,. Every time I go to a store I look in the toy section. This one I found at the swap meet. Texted him to ask where he found it, but received no reply yet. OMG, where did he find it? I got to keep my eyes open for that one. Copyright on back reads 2016. He said he found it at the Walmart in El Cajon. 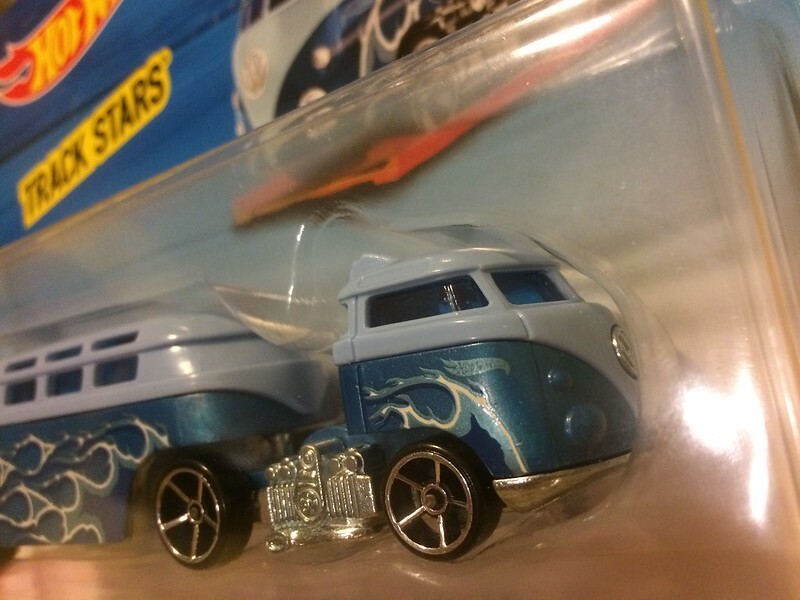 He doesn't think it's a Walmart exclusive, just happens to be where he found it. Thanks for the heads up. Looks like they are all over Ebay. I'm cheap so I'll keep looking on the pegs. The pegs were good to me this morning.